Soup and bread. So simple, so delicious! Copenhagen is a remarkable city. This is our second visit, with the weather somewhat warmer and the days definitely longer! We love walking Chelsea’s neighborhood, biking the city, and of course, enjoying the food. We have had some marvelous meals during our visits. 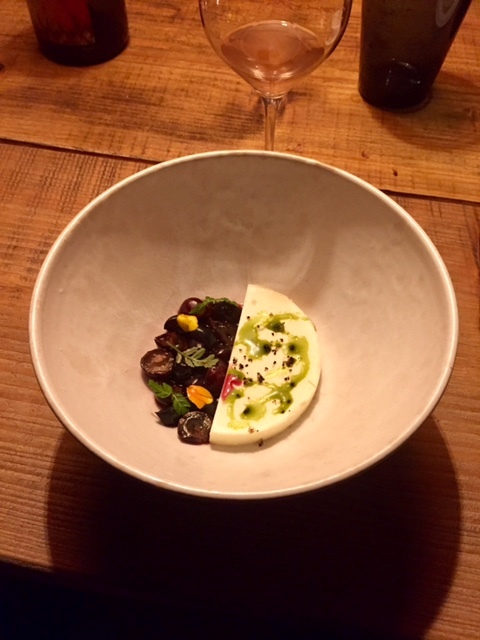 Last Christmas time we had a very memorable meal at 108, Noma’s somewhat more affordable sister restaurant. Noma is the highly regarded restaurant with two Michelin Stars and was named the top restaurant in the world four years in a row by Restaurant magazine. But with chef René Redzepi and his creative staff on a tour of Scandinavia to find new locally sourced food and inspiration, the award-winning Noma is closed. Our kitchen for the evening with our bread before "baking." Fortunately for us, the talented kitchen and front-of-house staff is hosting an ongoing pop-up experience while their leader is away. Noma’s Pop-up Under the Bridge is literally that, a found space below Knippelsbro bridge across from a wine warehouse. One long table seating at least 50 people is enclosed in a tent for warmth and atmosphere and the fixed menu meal is served family style. We went on a mid September evening and had a most wonderful time! One long table. Family style service. The aforementioned wine shop specializes in “natural” wines and filled our glasses throughout the meal. We rode our bikes (of course) to the venue and after parking them, enjoyed a Pétillant-naturel, a naturally carbonated sparkling wine, by the canal. The natural wines were very interesting and tasty. You can see the slight haziness in these glasses. For the seating we were arranged near the middle of the table, across from each other, with a group of four Swiss friends on one side and a couple locals on the other. The meal began with a mussel-based soup and fire grilled focaccia with a refreshing rosé. All the cooking was done on giant wood burning grills and the bread was unbelievable! Next up was fried grey shrimp tacos we built on cabbage leaves for tortillas. The meal progressed with servings of simple but deliciously fresh salad greens, roasted baby potatoes and the meat course, pork done three ways. 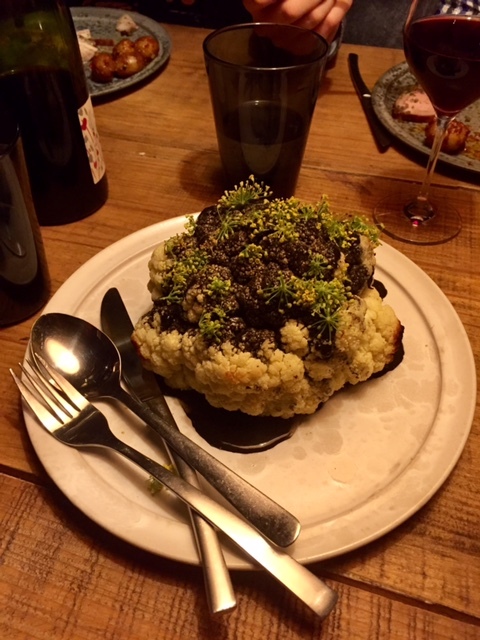 The savory portion of the meal ended with their signature roasted cauliflower head with squid ink and broccoli flowers. It was visually stunning and quite tasty. Two more interesting natural wines, a white and a red, were served as the meal progressed. Natural wines are the new trend in the culinary field. They are completely organic, un-filtered, and un-fined and can be a bit hazy. They are meant to be drunk young and are sometimes a bit “funky.” We have had them a couple times since and they are fun. I don’t think they are going to replace traditional French or Italian wines anytime soon but give them a try if you get the chance. Ironically, the winery we are working on now was making natural wines before it was “a thing” but that’s for another blog post. Dessert consisted of two servings. The first, a light custard served with cooked grapes. 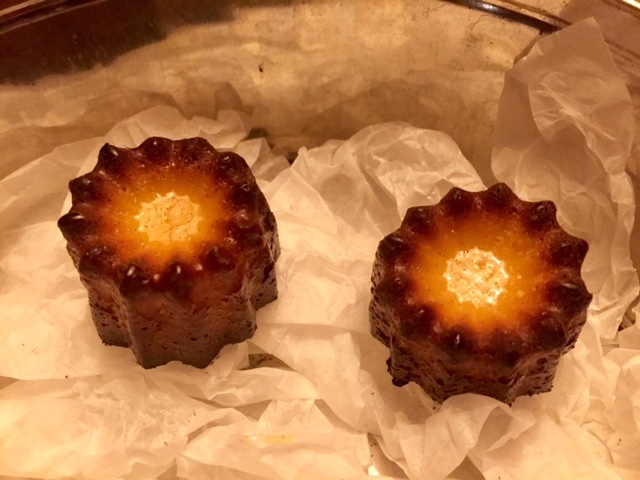 And finally Canales that were amazing! We struck up a lively conversation with the Swiss couples next to us. The seating arrangement encourages such conversations and is part of the magic of the experience. The meal was relaxed and creative, fun and challenging, delicious and unexpected. This was one of the most memorable meals we have shared…and we’ve shared some amazing meals! 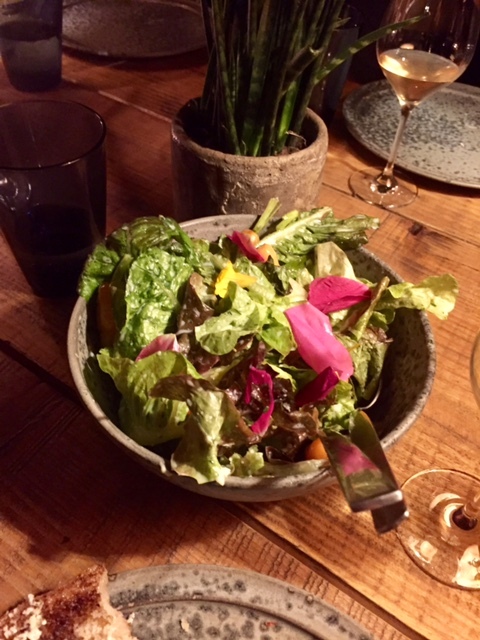 The setting, the attentive staff, the unusual cooking and presentation, the natural wines, even the seating made this a most enjoyable culinary experience. The concept has been so popular they keep extending their dates. They are now booking into November with changing menus. If you find yourself in Copenhagen soon do yourself a favor and book your seats here! Are you planning a trip somewhere in Europe? We can help with that! Remember that we are always available to you and your friends and family for custom trip planning to Italy, France, Ireland, England and all of Europe. We also still have spots available on our small group trip to Tuscany and our small group trip to Piedmont! We'd love for you to join us! You can always reach Betsy at betsy@eurotravelcoach.com. We would love to help you make your travel dreams to Europe come true! Sign up with your email address to receive notice when a new blog comes out. Thank you so much for signing up for our blog!